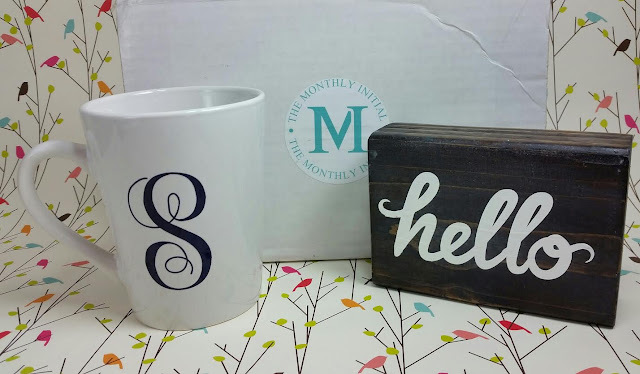 Personalized Mug- This is a fun shape and I'm currently using it to hold my tulips. I like the scrolly "S" as well. I think this is something I'm more likely to use to hold pens or just have on my desk collecting items more than I would actually use it to drink from. It's too pretty for that. 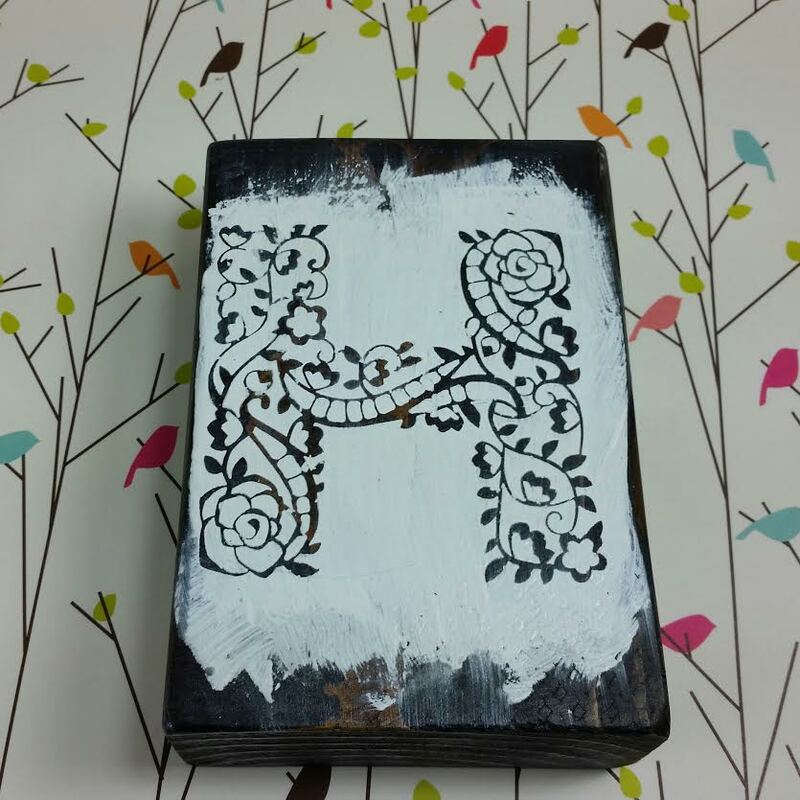 Hello Block- This is a dark stained wooden block with "hello" on one side. The other side isn't as pretty. It's a stencil "H" in white paint. It looks too messy for my taste. Or maybe it's just the contrast of messiness against the dark wood. Either way, it doesn't matter because I like the other side better and that's the side I'll be showing when I put it up somewhere. 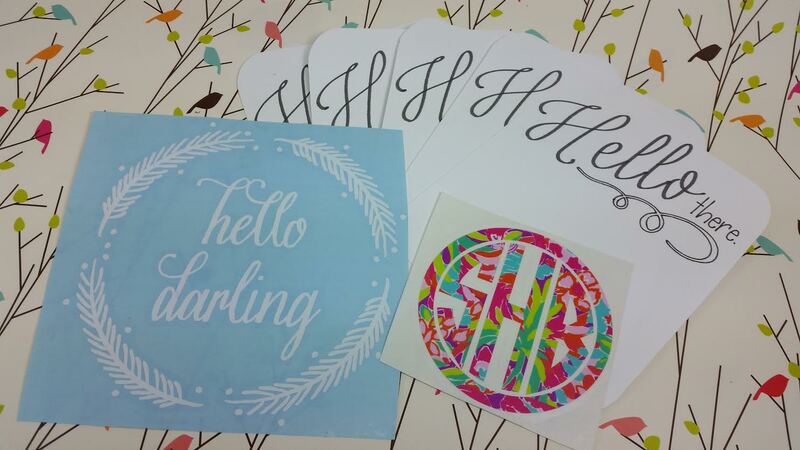 5" Hello Darling Decal- Made of indoor vinyl this is perfect for a water bottle. I feel like I want to put it a little somewhere more special than a water bottle though. I just have to figure out what. 5 pack of NoteCards- Five notecards stamped with Hello there. I admit to being a little let down by these. They're just loose pieces of paper. I think it would be better if it was an entire pad of them or a much heavier cardstock to make them more noteworthy. 1" Monogram Decal- Last but not least there was a tiny sticker that I didn't see until much later since it had fallen through all the crinkle paper to the bottom. It is the same sticker as the lily one, only much smaller. This subscription has not yet launched and is looking for feedback before everything is official. What do you think of a box like this? 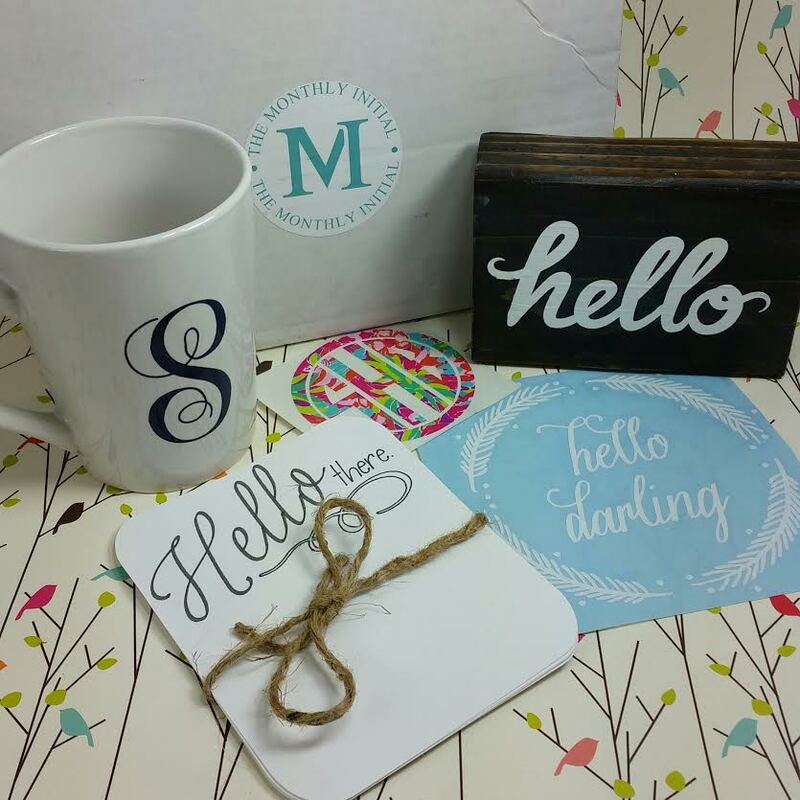 What would you like to see with a monogram in the box? If you'd like to sign up for The Monthly Initial, you can do that here!